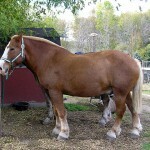 The Belgian draft horse or the Belgian horse is an equine breed originating in the Brabant region of the present-day Belgium. 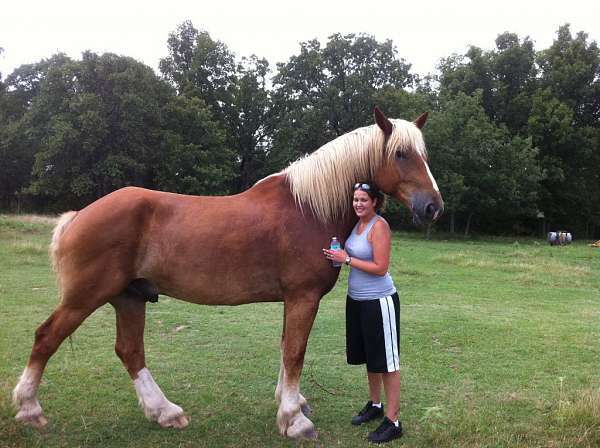 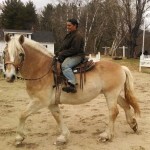 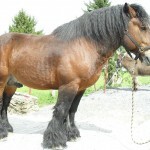 Its tall and massive stature makes it one of the strongest breeds of the world widely used for work also gaining immense popularity as riding and show horses. 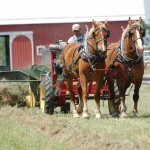 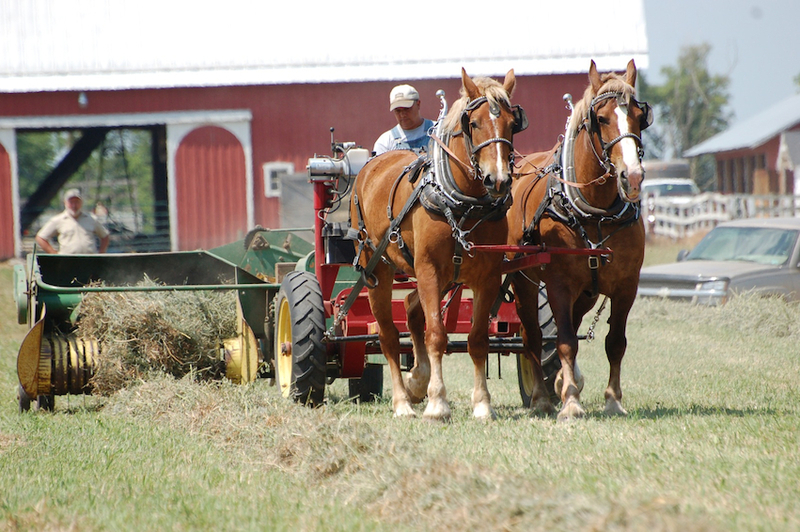 What are they used for For draft works like ploughing, logging, pulling sleighs, hitches, and carriages, as well as for pleasure riding, show jumping, dressage, and endurance. 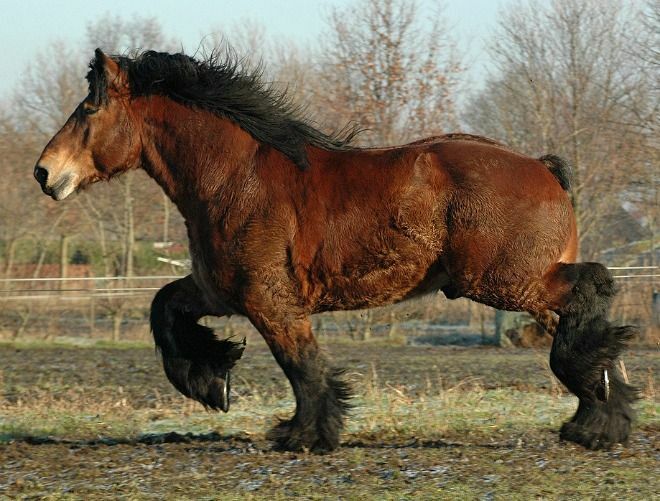 JEB (Junctional Epidermolysis Bullosa), a genetic disorder where newborn foals may lose a lot of their skin and show other abnormalities. 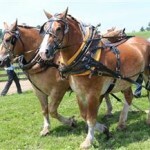 In fact, till the 1940s both of them belonged to the same breed. 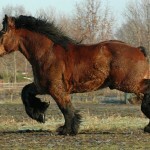 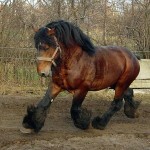 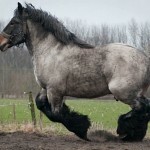 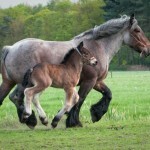 However, after the Second World War, the Brabant remained confined to Europe and was bred selectively to attain a thicker and heavier stature along with a greater amount of feathering on its limbs, while the Belgian breed evolved in the United States as tall and light-bodied horses with clean legs (devoid of feathers). 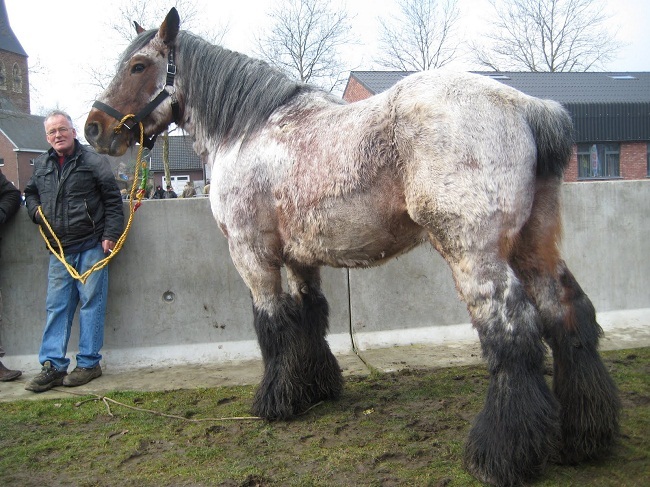 Moreover, the Brabant breed also differed in colors compared to the American Belgian, mostly found in shades of red, bay, blue roan, sorrel and chestnut with black and gray being rare. 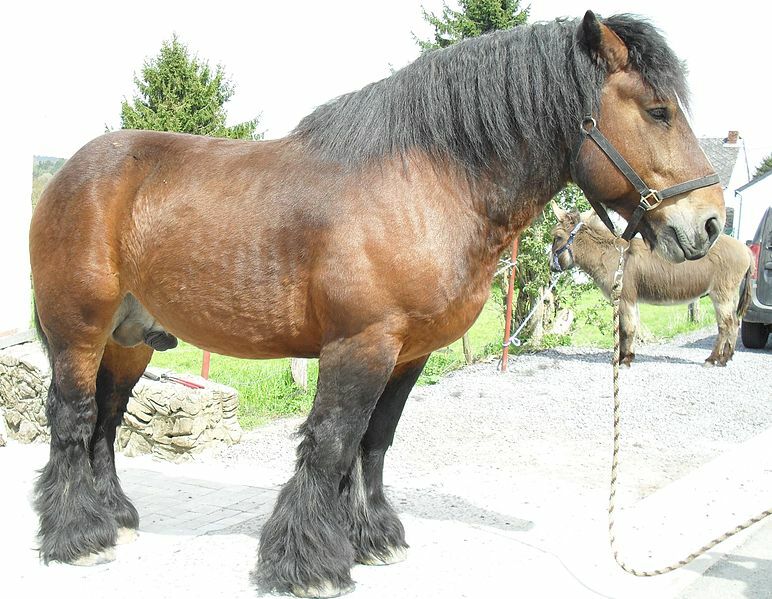 Post-war Brabants were used in farms and also for meat while in the USA they were used for agricultural purposes along with pleasure riding. 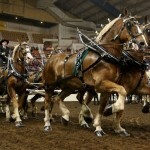 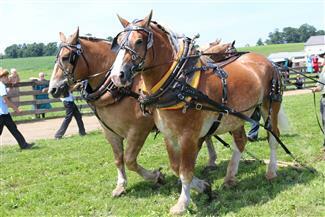 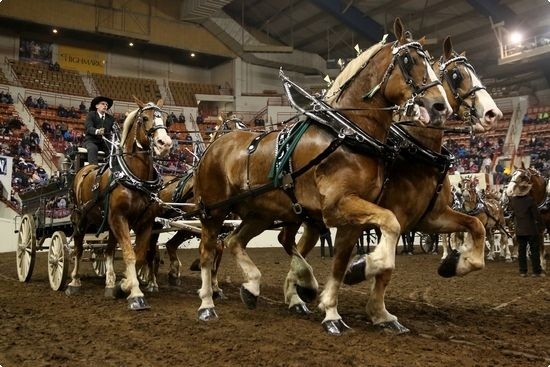 These hardy horses can draw a wagon load of approximately 6000 to 8000 pounds, also being capable of working 8 to 10 hours on a daily basis. 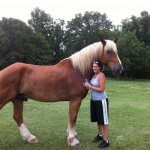 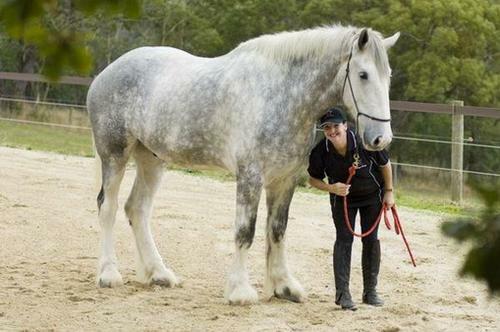 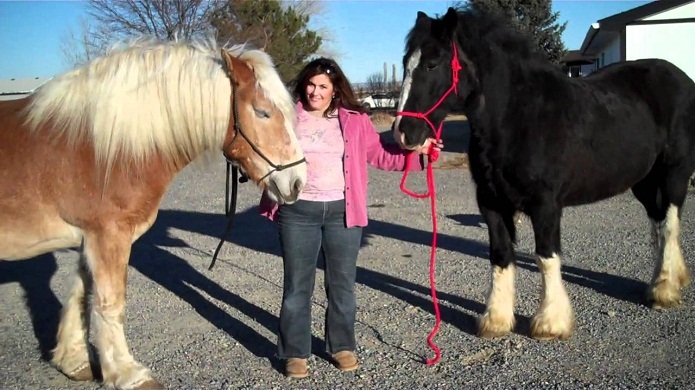 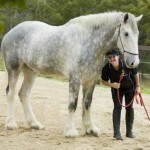 Big Jake, a Belgian Draft horse has made it to the Guinness Book of World Records in the year 2013 for being the tallest living horse in the world with a height of 23⁄4 hands, also weighing 2600 pounds. 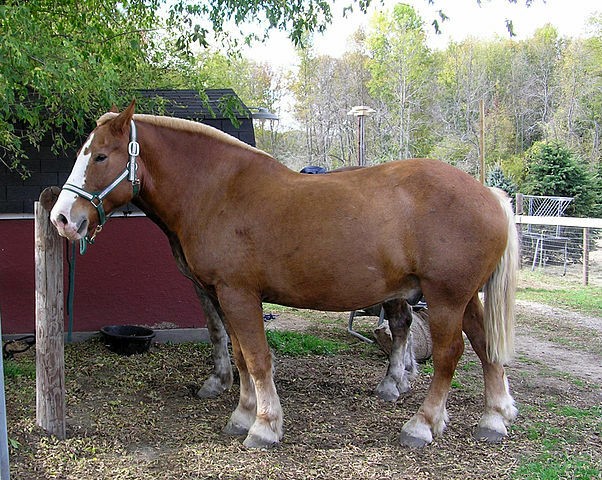 Brooklyn Supreme, a Belgian Draft stallion (1928-1948), is the largest Belgian Draft horse with weight and height of 3200 pounds and 19.2 hands respectively. 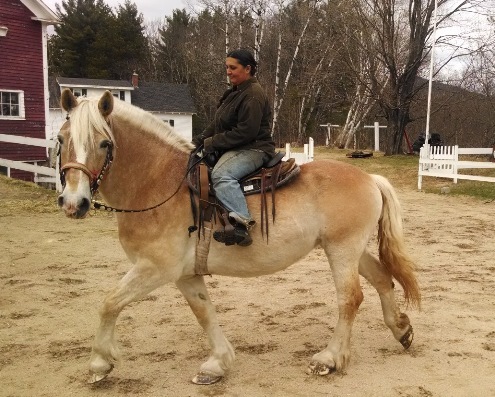 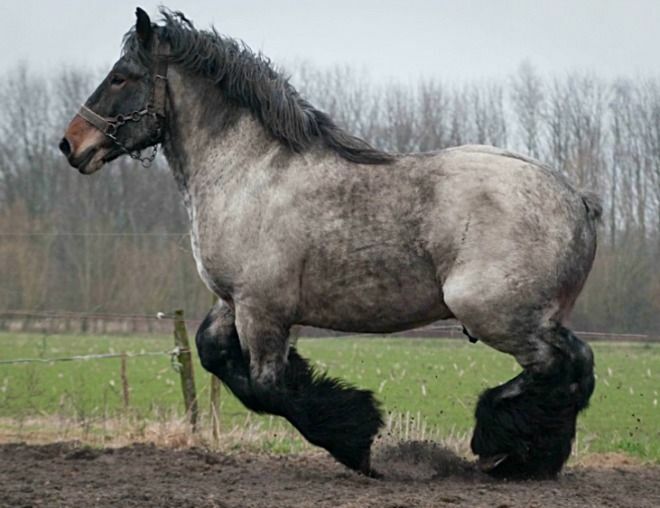 With the Belgian and Clydesdale both being draft horses, one of the significant differences between them is that the former seems to be shorter and stockier than the latter. 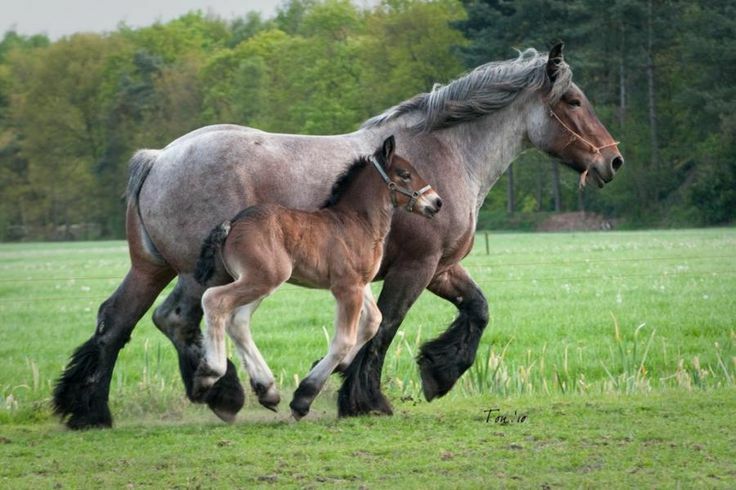 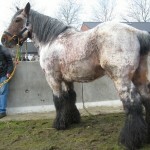 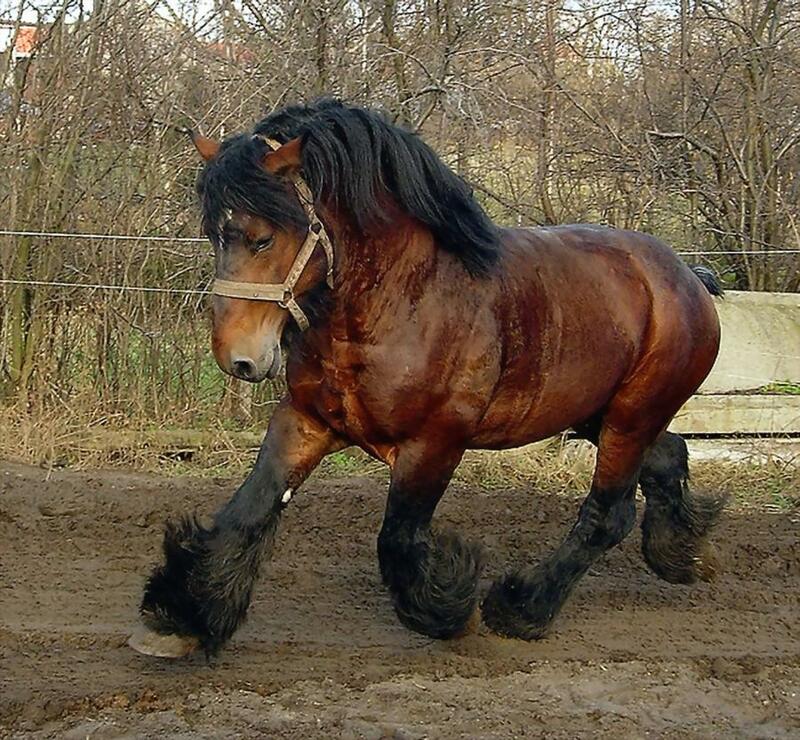 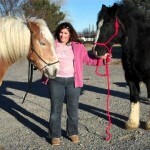 Some draft horses might have their tail hair cut short so that it does not get tangled into the harness, and you might see this trait in some of the Belgian draft horses too.